As a senior function of human brain, emotion has a great influence on human study, work, and all aspects of life. Correctly recognizing human emotion can make artificial intelligence serve human being better. 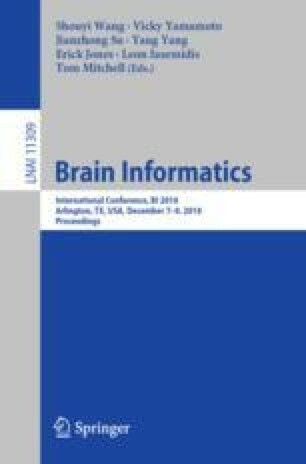 EEG-based emotion recognition (ER) has become more popular in these years, which is one of the utilizations of Brain Computer Interface (BCI). However, due to the ambiguity of human emotions and the complexity of EEG signals, the EEG-ER system which can recognize emotions with high accuracy is not easy to achieve. In this paper, based on the time scale, we choose recurrent neural network as the breakthrough point of the screening model. And according to the rhythmic characteristics and temporal memory characteristics of EEG, we propose a Rhythmic Time EEG Emotion Recognition Model (RT-ERM) based on the valance and arousal of LSTM. When using this model, the classification results of different rhythms and time scales are different. Through the results of the classification accuracy of different rhythms and different time scales, the optimal rhythm and time scale of the RT-ERM model are obtained, and the classification of emotional EEG is carried out by the best time scales corresponding to different rhythms, and we found some interesting phenomena. Finally, by comparing with other existing emotional EEG classification methods, it is found that the rhythm and time scale of the model can provide a good accuracy rate for RT-ERM. This work is supported by the CERNET Innovation Project (No. NGII20170719). We sincerely thank Hongzhi Kuai for the helpful discussion on the experiment design and the equipment support.